Start, Stop, Continue is a simple yet catalytic team building, feedback, and decision making exercise with a variety of applications that every church leader should have in their facilitation toolkit. When I am called in as an outside consultant to facilitate strategic conversations, this is my default feedback tool. Let’s take a closer look at how it works. You will need three surfaces. For a group exercise I prefer to use three tear off sheets taped to the wall titled START, STOP, CONTINUE. For individual use I prefer a Start/Stop/Continue Exercise Sheet. START: What should I/We start doing? STOP: What should I/We stop doing? CONTINUE: What should I/We continue doing? This exercise can be done silently by asking each participant to print their ideas on sticky notes and place them on the appropriate sheet, followed by a report out time. Or, it can be facilitated in a group free form brainstorming fashion. Tip: Replacing a “stop” with a productive “start” is usually better than merely ending something. Tip: Use the Dot Voting Exercise to prioritize each list. 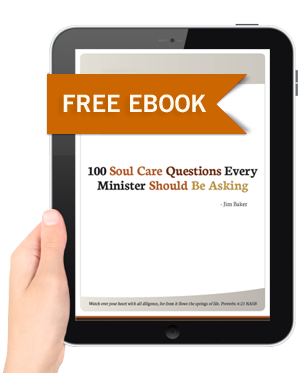 For the most part, any change that you want to see occur personally, with your staff, team, church, or organization is an opportunity to employ this exercise. 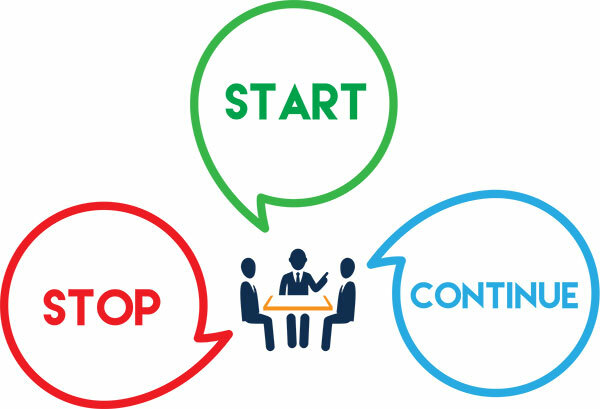 Other opportunities to use the Start, Stop, Continue Exercise include when you wish to autopsy an event, when you learn a new skill, want to improve a specific ministry, increase organizational efficiency, or need to solve a problem. Here are some specific examples to enhance your understanding of the exercise and provide ideas for its application. Program Pruning and Prioritization – typically churches continue to add programs without stopping a commensurate number. Annual goal, budget, and calendar planning is a great time to use this exercise. Process and Systems Improvement – use this exercise to identify how to improve your church and ministry processes and systems. New Vision/Direction – with a fresh vision comes the need to evaluate how things are currently being done and identify what changes need to be made to pursue the new vision. Behavior Change – use this exercise to evaluate personal, individual, or group behaviors. Value Change – cultural values can be positive, negative, actual, or aspirational. Use the Start, Stop, Continue Exercise to identify and hone the values you wish to emphasize. New Circumstances – a great time to use this exercise is when new opportunities, challenging problems, or changing circumstances confront your church or organization. New Measures – the Start, Stop, Continue Exercise is useful when the numbers tell you something is wrong or going unexpectedly well. New Leadership – a natural time to use this exercise is when a new leader arrives and wants to add their perspective to the church or organization. Self-Development – use the Start, Stop, Continue Exercise to evaluate your current self-development initiatives and identify the new development activities you will pursue. What other examples would you include? As a church planter, I found myself in a difficult place: being strong in passion and enthusiasm, but weak in systems and structure. It was eating my lunch! Jim stepped in at just the right time and helped me realize that good management skills can be learned with a little hard work and a faithful guide. 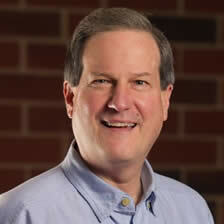 I’m thankful for Jim’s influence on my leadership and my church’s journey. I highly recommend Sacred Structures.